Home/Should I buy a Nikon F6? Remember the day when you bought a camera and thought, “this is my camera.” Not – “this is my camera, until the next version is released in a year? ” Enter the Nikon F6, quite possibly your last camera. (last updated: 12/17/2018) Apparently there are a lot of you out there considering purchasing the Nikon F6. This page has become the most visited of the web site. It was created after an e-mail from a fellow photographer contemplating the purchase of a Nikon F6 but not sure if it was a good investment. I wouldn’t dream of saying whether you should invest your hard-earned money in a camera – but am happy explain why it made sense to me. I’ll assume you’re intelligent and reasonable; capable of making your own decisions. This page isn’t sponsored by anyone. I’m not paid by Nikon. Look around… there are no ads, no links to retailers (nothing wrong with that, btw…) and I have no financial interest whether you buy this camera or not. I’m just a guy who found a tool I love to work with. And, I like to write. What conclusions you draw are completely up to you. 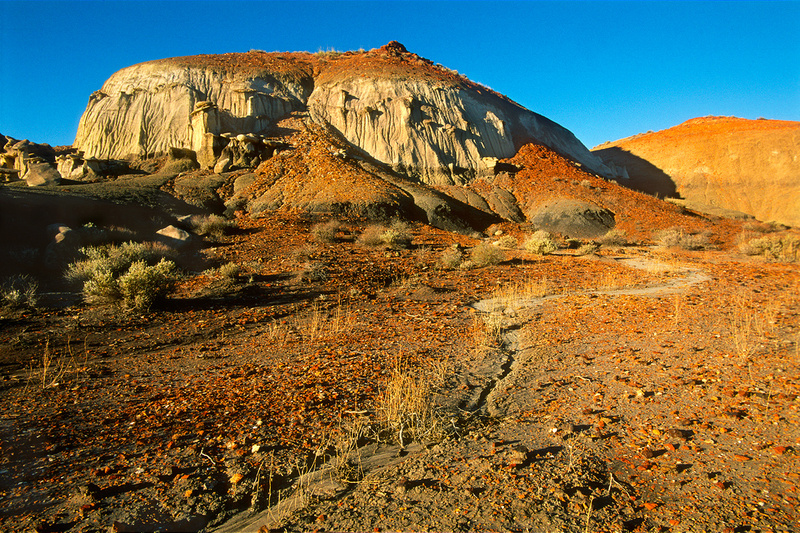 Grand Staircase-Escalante National Monument, part of the Bears Ears area in Utah. Question: Do you still use & like your F6? Would you recommend it? Answer: As of December 17, 2018, absolutely yes to both – twice on Sundays. Every time the big 2 camera manufacturers announce a “new flagship digital camera,” and with all the new “mirrorless” stuff happening this year, I just look at my F6 and smile. For the record, I think it’s great Nikon and other companies continue to innovate and push technology. I haven’t shot a new Z yet and may even give it go. But I know for sure it’ll never replace my first choice – the F6 – when I head out to shoot for the sheer pleasure of photographing. 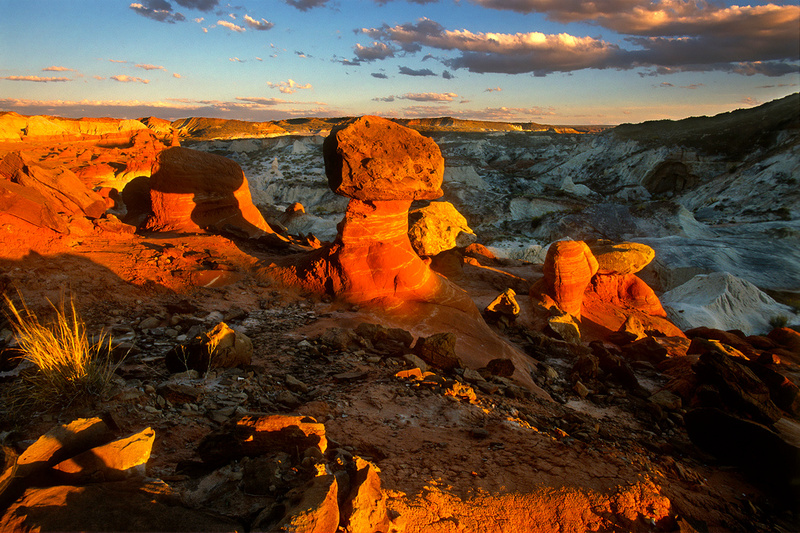 First light in the Bisti/De-Na-Zin Wilderness, New Mexico. 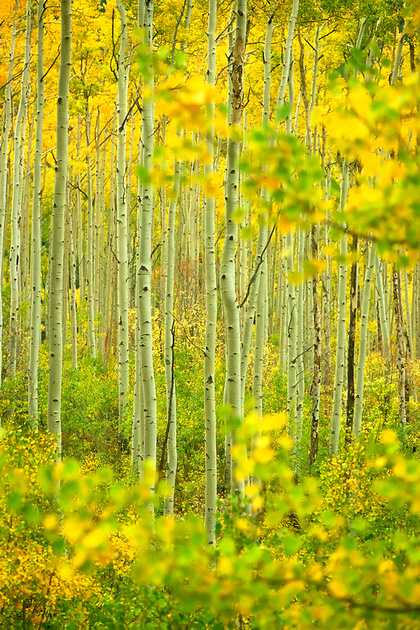 The color alone is enough reason to visit. Question: the camera is just a box. Who cares what kind of camera you use? Answer: To the general public, no one cares. To the photographer who would ask this question, I’ll save you some time. Don’t bother reading any further. This page explains why I disagree with that line of thinking – but don’t expect you to be convinced. Please click here for an interview with Tomohisa Ikeno who articulates extremely well how I feel about this discussion as it pertains to the F6. If you’re capable of being convinced a camera isn’t just a box this article is good medicine. Answer: I’m on year 10 with the camera. I’ve put nearly 500 rolls of film through it (nowhere near taxing it) and no surprise, functionally it has stood up extremely well. Remember these cameras are built to last. They’re extremely durable and rugged. Short of dropping it a significant distance onto a hard surface – or in water – it’s tough to imagine what would cause a camera like the F6 to stop functioning. Cosmetically: Because the camera is so well designed there’s virtually nothing to break off or catch as it’s jammed into and yanked out of the bag. Cosmetically it continues to ware well; a handsome beast even with a few nicks and scrapes. – A couple years ago the small, rubber grommets around the AE/AF-L/AF-ON buttons (top rear right), as well as the Bracket and Lock buttons (top rear left) of the camera began to work their way loose. A dab of adhesive fixed this, re-fastetning them tightly to the body before they tore. I’ve seen other F6’s with these rubber grommets torn off. – The Sub Command Dial (front) slips some times when I spin it – meaning it doesn’t always change the aperture. Less so with the rear command dial, which is far less used by me. – The Sub Command Dial itself is beginning to smooth out a little as the little nubs are worn by use. Nothing dramatic, but when I compare it to a new dial there’s visible difference. – A couple years ago I noticed some intermittent contact with my 70-200 VR lens. It’s the same thing that used to happen while shooting the 400/2.8 on a D200 years ago. Low-battery warnings and occasional lock-ups. They only happen with this lens, and only intermittently – and with my digital camera as well. So my thinking is it’s the lens that needs servicing, not the camera. Aside from this, no issues what so ever. It has still never failed me nor disappointed me. It has been in rain, extreme heat and some pretty cold spells, but not what I’d consider extreme cold, like Antarctica or Northern Canada in the winter – type of cold. – In 2012: I was photographing the camera with my digital and trying to do a decent product shot. To make a long story short, don’t use packing tape on the MB-40 to remove dust from your camera. It will also remove the paint. My MB-40 looks “used” now, which is fine – but truth is I’d rather have the paint intact, or have dropped it off a cliff or something to achieve the same effect. Live and learn. – As of late 2013 my grip began to pucker on (come detached from) the bottom, right corner (as you’re holding it), where the right hand grabs the camera. Similarly the rubberized covering on the upper, right corner of the rear door began to peel off. I’m certain both are due to the heat the camera was subjected to during 3 trips to Haiti. This has not happened to my F6, but it did happen to an FE2 I had in Alaska a number of years ago. When inspecting the camera, remove the lens and make sure the Aperture Coupling Lever is not bent. This happens sometimes while in a rush to mount the lens. If it’s not seated and aligned properly it’s possible to damage the lever. Once damaged it may accept the lens, but not function properly. The earlier scenario was my case, happening on the ferry sailing through Alaska’s inside passage when we (finally!) came into humpback whales. In all the excitement I cranked the lens on without properly seating it and bent the lever, rendering the camera inoperable until I hit Anchorage. I found a camera store and the guy handed me a pair of needle nose pliers and said “good luck.” I was able to bend it back into position – but lesson learned. Recently I was looking at a used F3 and discovered this same problem. Again, this hasn’t happened to any of my current cameras – but be careful to watch out for it. This page will continue to be updated over the years. A few things to watch for when purchasing a used Nikon F6. The number of frames can be re-set to anything, so don’t use what ever the number says as concrete fact. Hoh Rain Forest, Olympic National Park, Washington. EXIF: 5 sec. @ƒ16, AF-S Micro Nikkor 105mm 1:2.8G ED, Color matrix, Aperture Priority, Velvia 100. © Copyright 2011 by John B. Crane. All rights reserved. Question: I spend way too much time determining exposure instead of composition as I often shoot in difficult light conditions such as sunrises. Answer: So now I think we’re getting closer to one of the big reasons I reach for the F6 over my other cameras. 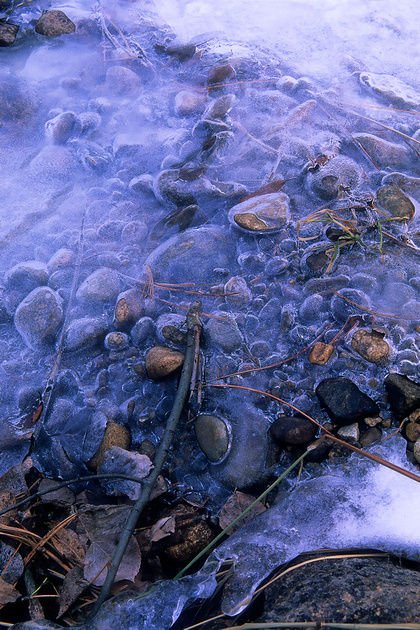 On the surface It may seem a bit incongruous to discuss speed of shooting in the context of landscape photography. After all, we’re just sort of sitting there waiting for the light, right? Nothing much happens between sun up and sun down. But the reality is I can sit in a spot all day waiting for the magic then miss it because I was spot metering one last time in changing light, rather than making a frame (or as happened once, missed it in the 120 seconds it took me to run and get a cold beer out of the cooler in the car). Speed and accuracy when it counts is a huge factor with the F6. When people talk about the meter being good they’re not kidding. I find myself Matrix metering (Manual mode) nearly all the time. I rarely center-weight, and have the Func button (a digital carry over unique to the F6 in film) set up to spot meter when I need it. Top honors for speed in shooting fall squarely on the F6. You can count on it. Add a good 2-stop ND Grad and you’ll get killer exposures with that combination. Question: Does the F6 really accept all of Nikon’s lenses, old and new? Answer: Out of the box the F6 accepts virtually all Nikon CPU lenses with D or G-type AF lenses providing access to all available functions. Beyond that the F6 has tremendous latitude in additional Non-CPU Nikkors, and can be further modified to accept pre-AI (F-mount) lenses. The modification requires a trip to Nikon Service and runs about $50 when you have the camera CLA’d. This modification further expands the F6’s usefulness and longevity and opens up a vast array of ancient lenses. There are limitations to metering and of course they’re manual focus – but they work great. Not only are there creative avenues available while shooting with these old lenses – they’re also inexpensive. Not mounting on most contemporary DSLR’s (except the Df) – the oldest lenses are of little perceived value to the DSLR video crowd, keeping their prices low on the used market. For a complete list of the lens compatible with the F6 see pages 38-42 of the user manual. There are far too many details to provide a useful list in the context of this overview. This is what the F6 looks like with the Pre-AI modification made to the meter coupling lever. The F6 with a Pre-AI 50mm 1.4 lens mounted. Because pre-AI lenses have no meter coupling ridge the meter coupling lever is folded down, against the body allowing the flat surface of the lens to make contact with the mount. Question: Is it worth investing in 35mm technology here so late in the game? Answer: I have no idea where the film industry is headed. Companies like Ilford, Fuji, Kodak etc. are companies that make business decisions based on their own information and data, and I’m not privy to that. But, let’s assume 35mm film will be around for some time to come – which I believe it will be (think of how many 35mm film cameras are still out there clicking away right now). There’s an enormous following still of 35mm film and a viable market for the foreseeable future. That said, the F6’s practical usefulness, in my opinion, far exceeds even today’s most robust, sophisticated digital cameras. I love my D3S and will shoot it for many years to come, but no digital camera is as good as it can yet be, while shooting film with the F6 has never been better. The F6 has sophisticated electronics within that can fail, to be sure. But where it really shines is the step away from the computer it takes once the image is made. I believe it’s the digital camera’s link to the computer that is ultimately its undoing. How many generations of software/hardware pass by during the old, typical 8 year production cycle of the Nikon F-mount film bodies? Even the typical 4 yr. production cycles of the (pro) digital cameras. By the time a top-shelf digital is 4 years old it’s looking a little long in the tooth compared to what the “new” ones can do. Not so with a camera like the F6. 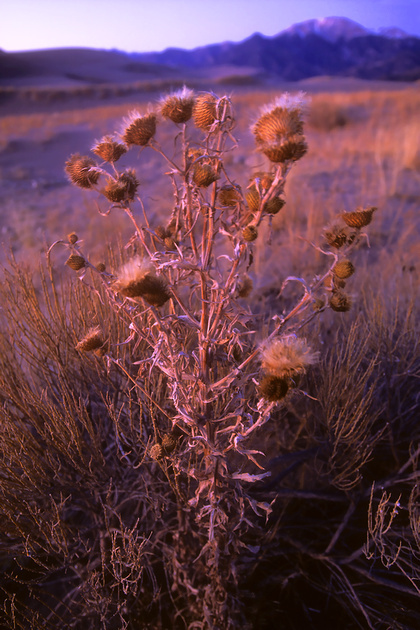 A frame of Velvia 50 is essentially the same today as it will be tomorrow. It’s truly timeless; a camera I’ll pass on to my son many years from now, whether they’re still making film or not. Wooden Ship Hull, Northwest Maritime Center, Port Townsend, Washington. EXIF: 1/125 @ ƒ13, AF Nikkor 50mm 1:1.4D, Color matrix, Aperture Priority, -0.3EV, Velvia 100. © Copyright 2011 by John B. Crane. All rights reserved. Question: Due to the cost, storage and inconvenience why would you still shoot film? Answer: The short answer is, I love it. Something about the finite nature of film photographer makes me pay closer attention, become a more astute observer and student of surroundings. Here’s a link to a piece I wrote several years ago about the topic called Hope, Boundaries and Good Intuition. The longer reasoning behind it is: I’ve heard of too many times and had too many close-calls where losing a catalog of computer-stored images due to hardware/software failure is a hard reality of the digital world. I find great comfort in being able to examine a frame of film in my hand with a loop on the light table, knowing there are no further 1’s and 0’s required. To be sure, computers are a reality in our world today. But having my photography directly dependent on those 1’s and 0’s when there exists an alternative? Again, taking a step away from the computer is another welcome benefit for me. GMC Truck, Laramie, Wyoming. On the Left, the venerable Nikon D3s set to “Vivid” mode. On the right, the trusty F6 with Velvia 100. Both images right out of the camera, no post processing. © Copyright 2011 by John B. Crane. All rights reserved. 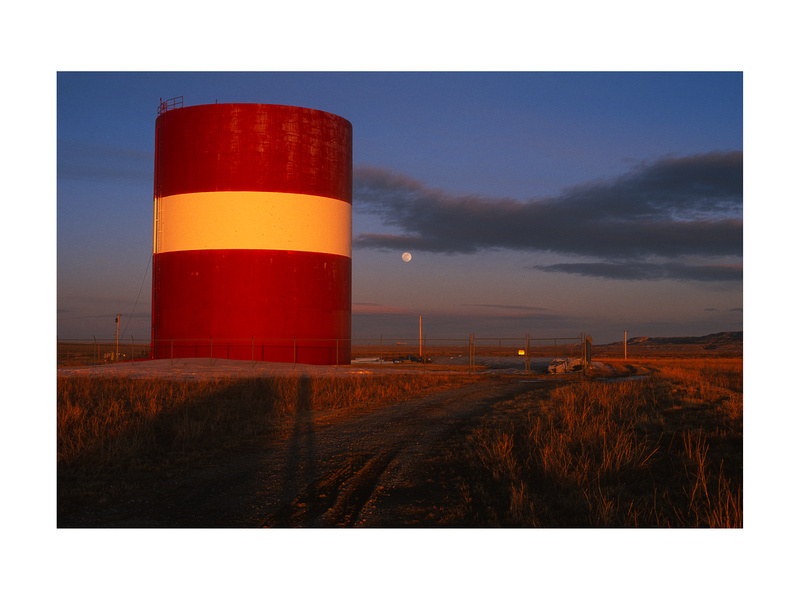 Question: Do you agree Velvia 50 provides better saturated colors than digital unless you become very knowledgeable in Photoshop? This begins the controversial topic of “image quality.” I’ve tried to avoid it thus far because to me it’s more of a subjective, holistic assessment than a quantifiable standard. Image quality isn’t simply “high” or “low,” “good” or “bad.” I see image quality as the accumulation of various attributes of the image; not simply how sharp or noise free it may or may not be. But the character, or style of the photograph. For shots like this my money’s on the image to the right; the F6 and a good Chrome film. Nothing can match the color of film. 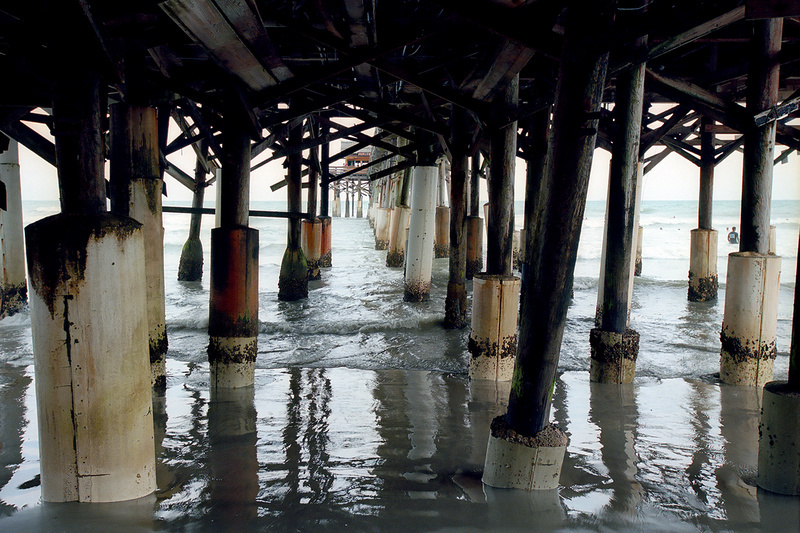 A while back I began using DXO for my digital RAW conversion. It’s great software but once you begin with the slider settings it’s tough to know when to stop. With film, there’s the scan, setting a proper white and black point, and you’re done. For the best color I choose film. The Fish Hog, Neah Bay, Washington. EXIF: 1/125 @ ƒ4, AF-S VR-Nikkor 70-200mm 1:2.8G at 170mm, Color matrix, Aperture Priority, -0.3EV, Velvia 100. © Copyright 2011 by John B. Crane. All rights reserved. Nikon F5 vs. Nikon F6-Front View. F5 on left, F6 on right. Question: I have and love my F5. Why should I get an F6? Answer: First, debating which camera is “better” is a waste of time. Both F5 and F6 are incredible, top of the line, flagship, professional cameras employing everything in Nikon’s design/development pedigree at their time of release. The F5 project was led by Tetsuro Goto, with design by Giugiaro Studio. At the time of release (1996) it was the fastest auto focus camera in the world, and used new sealing techniques adopted through what Nikon learned in the Nikonos system. Sticking to the typical 8-year production cycle of professional F models, the F6 was released to everyone’s surprise in 2004 – along side the D2H digital camera. The F6 was designed and developed to fulfill the need for a faster, lighter 35mm film camera with ultimate reliability and low power consumption. Allow me to go on record praising the F5; a classic piece of photographic history, no doubt. To those as devoted to the F5 as I am to the F6 please visit nikonf5.net – site put up and maintained by Australian photographer Gareth Buckett. I use the F5 as a second camera and love it. CREATIVE LIGHTING SYSTEM: The F6 contains circuitry for Nikon’s Creative Lighting System – the F5 does not and can not. If you want to go off-camera flash you’re using Pocket Wizards or another third party solution. No big deal. That said, even though the F6 has the circuitry for CLS, you still need to purchase separately the SU-800 Commander Head to access the CLS power. I’d call this a draw today because of the additional options for off-camera flash (though CLS is awesome). One of the nice features about the Creative Lighting System is how it can use small lights. Take the SU-R200 speed lights, for example (shown on the camera above). Their tiny, localized light allows small amounts of power to illuminate small areas without contaminating the whole scene. That’s something large soft boxes just can’t do. Using colored gels on individual lights is also an easy task. Pocket Wizard makes devices allowing extended range of CLS – which can come in handy. But they’re pretty expensive and with CLS-equipped speed lights, unnecessary. Nikon F5 vs Nikon F6-Rear View: Size is the most commonly sited (and obvious) difference between the two cameras. SIZE and WEIGHT: This is the most commonly sited (and obvious) difference between the two cameras. I have to wonder if it’s the single most important difference – or just the most noticeable. The F5 is constructed in one, solid, large, cast aluminum alloy body; a monster of a camera (and pretty cool looking too – a buddy of mine said it looked like a military weapon). This is highly desirable by some – and equally undesirable by others. To some the larger size communicates a solid, robust, dependable, assured feeling while shooting. To others, the larger size presents difficulty in handling, and difficulty stowing the camera away for travel due the larger footprint in the bag or weight around the neck. The reason for the size was the first ever internal MD (Motor Drive) and power pack that combined provide 7 frames per second, 8 if you opted for the optional MN-30 power unit. This has the effect of sometimes making the camera too large to bring with you – making all its power and features irrelevant. Remember, the best camera is the one you have with you. The F6 is unquestionably smaller and lighter in its stock configuration (sans MB-40 grip), but don’t mistake the lighter attribute for inferior. The F5 is constructed as a cast, aluminum alloy body where as the F6’s top plate, bottom and front cover were made of the stronger and lighter magnesium alloy, with only the back door being made of the slightly cheaper aluminum alloy. If you prefer that solid, beefy feeling of the F5, imagine that same feeling in a trimmer, tighter, smaller package. The feeling of holding the F6 compared to the F5 is just as solid, just as tight, inspiring the same confidence as the F5 – without the mass. If it does take physical size and weight to impress, the MB-40 can be mounted to the camera, making it actually slightly taller and heavier than the F5. But somehow through the miracle of brilliant design the F6 still feels lighter. – The F5 with the Kirk L-bracket and 8 Duracell Alkaline batteries 3 pounds, 8 and 3/4 ounces (this weight drops with Lithium batteries). – The F6 with the MB-40 grip, EN-EL4a battery, Kirk L-bracket, no lens = 3 pounds, 7 and 5/8 oz. It’s this second configuration that matters most to me because it’s how I shoot. When the F5 is loaded with heavier, Alkaline batteries, the F6 is only an ounce lighter. Due to the F6’s design, however, it feels significantly lighter in hand than the F5. Size is strictly personal preference – there’s no right or wrong. I understand the emotional connection to a larger camera – but practically speaking the advantage here has to go to the F6 for its either/or approach. The optional MB-40 allows a host of additional features to the F6 including the ability to use AA batteries. BATTERIES: The F5 is a hungry beast, requiring 8(!) AA Batteries as the primary method of obtaining the power it needs. The batteries tuck neatly into the integrated grip and add significant weight to an already robust camera. The good news is, AA batteries are probably one of the most easily obtained battery sizes on the market. The bad news is that for extended trips you need a bunch of them due to the the F5’s insatiable need for power. The F5’s power requirements were modified during the life cycle of the camera, with the early cameras being reprogrammed. The MN-30 NiMH battery unit instead of AA batteries that slide into the bottom of the camera. This item is no longer available and I have to wonder if, given the relatively short life span of digital camera batteries like the EN-EL4a for example – if you’re better off just using the ubiquitous AA batteries. Requiring an exotic, impossible to get power source for a camera to function doesn’t help its longevity. (Thanks to my UK friend Tony for clarifying power requirements). The F6’s base configuration requires 6Volts of power via two, efficient CR123’s tucked neatly into the vertical grip via the MS-41 battery caddy. I haven’t done a roll count comparison determining longevity of these two configurations. The MB-40 grip first mentioned above offers the added bonus of allowing the same AA batteries plus the digitally popular EN-EL4a battery. So my digital camera and film camera share the same battery – which is a good thing. When you want/need to go smaller, lighter, and more efficiently, clearly here the advantage goes to the F6. It’s worth noting that both the F5 and F6 have manual rewind cranks to save battery power on extended shoots. MIRROR UP: The F5 has a mechanical lever allowing Mirror Lock Up, where the F6 has a setting on the Film Advance Mode Selector dial. The F6’s configuration is a disadvantage because the photographer is forced to choose between a self timer and M-up. Sometimes you want both. The F5 allows the photographer to set the lever manually and still use the Self Timer on the dial. Practically speaking this is a non-issue for many because of the number of other ways a camera’s shutter can be tripped without a timer. For example the ML-3 or MC-30 are standard operating procedure when it comes to remote release. Still, I’d give the slight advantage here to the F5 because you don’t need another piece of equipment. There is an alternative for patient F6 users: if you set the Film Advance Mode Selector Dial to M-up and trip the shutter, 30 seconds after the mirror flips up out of the way the shutter will automatically release itself. This is cumbersome in changing light – but M-up shooting already is. 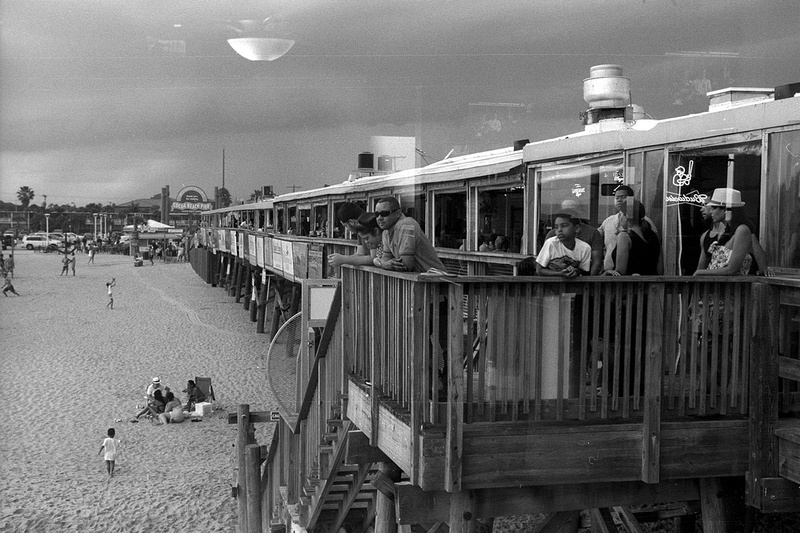 Cocoa Beach Pier, Cocoa Beach, Florida (2015) Tri-X. Made with the lovely F4s. This category was added because I’ve recently been doing more work with the older Nikons F’s along side the F6. Feature-wise, the closest contender to the F6 is the F5. Comparing the F6 and F5 in context of switching between older Nikons, at first glance the comparison may seem to favor the F5. The reason is the presence of the F5’s Aperture Direct Readout (ADR) – a little window in the viewfinder that peeks down onto the tiny numbers of the lens showing you what aperture you’re set to. This means you can quickly move a lens from an older camera (like an F3) that has no command dials, mount it on the F5 and just keep shooting – rather than having to stop and lock the lens into its minimum aperture first. The F5’s CSM 22: “Aperture setting via Sub-Command Dial” allows you to enable or disable the front command dial on lenses with aperture rings. The default is ‘enable.’ If you select ‘disable’ you can change aperture using the aperture ring on the lens. However it’s a little unintuitive: ‘F- -‘ shows in the top display, the MF-28 display and most importantly – the viewfinder – instead of the correct aperture. CSM 22 forces reliance solely on the ADR to communicate correct aperture. On top of this, you need a piece of software to be able to access the F5’s Custom Settings Menu to make changes. Compare this to the F6: out of the box it requires any lens with aperture ring to be locked in the minimum aperture setting. This renders the ring on the lens useless and instead controls aperture with the camera’s front command dial. But the F6 handles an alternative far more gracefully: CSM f:4 disables the front command dial allowing the lens to be controlled by the aperture ring instead. The beauty is the top display, viewfinder and rear display all show the correct aperture (instead of the ‘F- -‘ like the F5). Both cameras are smart enough to automatically re-enable front command dial operation when G lenses are mounted. Pretty slick. The down side to using the lenses aperture ring is you don’t get 1/3 stop EV settings as when using the front command dial. So it’s a trade off based on the photographer’s priorities. If you do a lot of switching back and forth between these older cameras with no command dials – you’ll appreciate and be familiar with the F5’s ADR allowing you to wing it ‘old school.’ The F6 presents a more refined (there’s that word again…) alternative – though the lack of ADR isn’t a plus – so it’s probably a draw. Both the F5 and F6 have 100% coverage viewfinders. This means there’s no guessing what the edge of the frame is – you can actually see a entire composition through the viewfinder before shutter release. The F5 allows replaceable view finders to be mounted to the camera, where the F6 does not. Replaceable viewfinders have been a design cornerstone from the early F’s through the F5 and facilitate various types of specialty shooting. The F5 offered 4 different viewfinders. Image from Nikon’s sales literature discussing how well sealed – and tested – the F6 is. I’ve heard some use this “lack of feature” as the fatal flaw of the F6; noting it as the important demarcation of a “professional camera.” Hogwash. How many digital cameras today offer replaceable viewfinders? None. If they’re so important and valuable to the professional, why don’t contemporary digital cameras offer them? It’s because they represent too much risk to the integrity of the camera’s electronics. This risk outweighs the benefit so they were discontinued. However, there’s always another point of view. As French photographer Sylvain Lenfle points out, “One strength of the F5 removable viewfinder: being in a Parisian café with your 50mm and a (pretty) girl at the table just maybe 1 meter in front of you. Putting the F5 on the table, removing the viewfinder as if you were cleaning it, checking the frame and shooting “discreetly.”(PLEASE CLICK HERE). Even though the F5 represented the best weather sealing of its time, replaceable viewfinders facilitate a critical point of entry for moisture and debris (and this is important) on the TOP of the camera – making the camera more vulnerable to failure in inclement weather. With other options available such as the DR-5 Right Angle Viewer – and the hard reality that junk can and does eventually enter your camera through any possible means (regardless of how well it’s sealed) – this advantage must go to the F6. If there were a specific shooting application requiring a specific viewfinder the F5 offered, and it wasn’t subjected to pouring rain for an extended period the F5 might be a more practical option. But for every other situation I’d say the F6 has the clear advantage. Even better weather sealing in the F6 – along with new oils – were used to allow temperature differences of -20°C to +50°C to be incidental. The F6 is sealed as well as any camera can possibly be. One of my favorite images from a Nikon advert is the photo of the F6 absolutely covered in dust. Both the F5 and F6 offer interchangeable focusing screens: the F5 offers 13, the F6 offers 7. Immediately upon purchase, my stock focus screen was swapped out for the Type E screen, providing a horizontal and vertical grid for easier alignment. I later added an L screen which I now use the most. Nikon F6 view finder, mirror box and prism assembly, photograph from Nikon web site. AUTO FOCUS, another controversial topic: The F5’s auto focus system, the multi-CAM1300 is inferior in terms of accuracy to the F6 due to the lack of number of AF tracking points and sophistication of the AF system (5 focus points in the F5, 11 on the F6’s multi-CAM2000 AF system) – but I’ll admit here that understanding the nuances of AF systems is not something I’m well versed in. The F5 however is superior in speed. The F5’s auto focus motor feels like it’s going to tear the guts out of whatever lens is mounted to the camera. “Over the top” is the phrase that comes to mind. The application of all this power contributes to the brute force feel of the camera. Like sitting in an old, muscle car and feeling the rumble of that huge motor when you hit the gas. The downside to this is power consumption: it chews through those 8 AA batteries fast. For me the auto focus discussion is not quite insignificant but close. Often times while shooting the F6 I’m manually focusing – not trying to track a subject moving towards me at high speeds with high frame rates. For jobs like that my D3s is perfectly suited. Another advantage to the F5’s auto focus is the ability to view the position of focus points in the top plate/screen. The F6 does not allow this – but does allow viewing on the rear LCD screen. One troubling feature of my F5 I never grew used to was the lack of color auto focus points in the viewfinder. Because they switch between dark gray (inactive) or black (active), this presents a severe lack of contrast between their two states. The net result is though the motor is super fast focusing the camera, there’s a mental delay while your mind tries to figure out just what that super fast motor has focused on. The F6’s viewfinder is ENORMOUS and BRIGHT, with BRIGHT, RED, AF-ACTIVATION POINTS, eliminating any confusion of what is and isn’t the camera’s primary focus. It’s fast, accurate and instantly distinguishable. Nikon F6 shutter assembly, photograph from Nikon web site. SHUTTER: Both cameras have super durable, self-checking shutters. “The F6 is equipped with a self-diagnostic shutter that automatically controls the shutter speed for each release of the shutter. The self-diagnostic shutter automatically detects inaccuracies in performance and readjusts the shutter speed for greater accuracy in subsequent shooting.” (p.86 of the F6 manual). This means that if the camera can’t provide the shutter speed you’ve requested – it won’t fire and will instead display “Err” in the LCD and camera’s top panel. The F5’s double bladed shutter curtains are made of a carbon fiber type material and aluminum alloy and rated at 150,000 releases. This translates into more than 4,000 rolls of 36 exposure film. The F6’s shutter was changed to a quieter, more durable and refined Kevlar material supposedly reducing noise and reducing vibration in the mirror box – and rated at the same, incredible 150,000 releases. Both the F5 and F6 offer what they call a “Silent” mode (Cs) on the Film Advance Mode Selector Dial. It’s not quite silent, but it’s definitely not loud – and for more intimate settings like a concert or performance where the “Clack-Clack-Clack” of a loud shutter might be a distraction, this is a benefit to both cameras. “B” setting is available and electromagnetically controlled on both the F5 and F6. The F6 has all of these higher functions, including the intervalometer – and more – designed and built directly into the camera’s stock configuration, aluminum alloy back door and accessible with one rear Liquid Crystal Display (LCD) panel that uses plain language (not codes) to communicate different options. The designed integration of these higher functions is somehow accomplished in a tight, trim package making it ergonomically friendly – as well as logically accessible. Easily deciphered Custom Setting Menus displayed large on the rear LCD allow tremendous control and ease of use of deep functions of the camera, extending it beyond the F5’s technical capabilities – all in an ergonomically and technically superior way. STORED SHOOTING DATA: The F6’s stock configuration allows retention of generated shooting data stored in memory where it resides, and viewable on the camera’s rear LCD screen by clicking the INFO button on the back door. You may also retrieve the shooting data in the form of a CSV (Comma Separated Value) text file to import into EXCEL or another spread sheet program for further use. 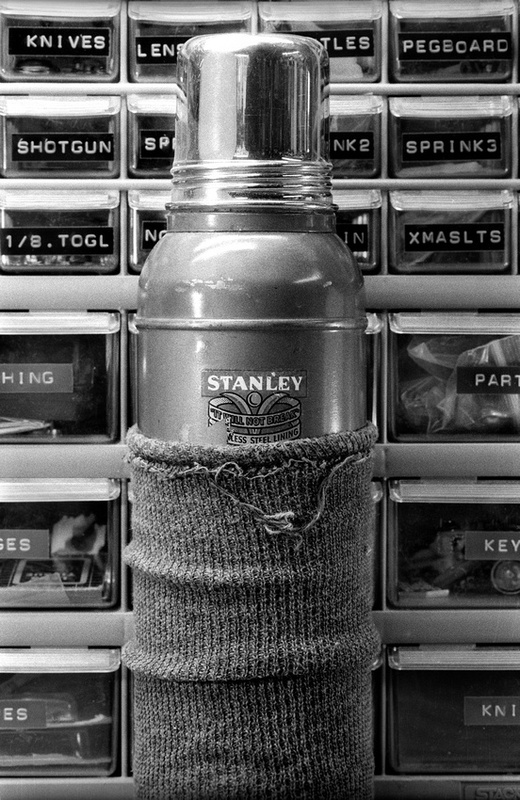 This is accomplished by connecting the Nikon MV-1 to the 9-pin data port at camera’s front, beneath the attached, rubberized caps. *As of June 2015, there is another option to the expensive MV-1 called meta35, produced by a software company in Houston, Texas. To read more about meta35 please click here. **Meta35 allows interaction with Custom Settings Menus on cameras such as the N90s/F90X, F100 and F5 as well as the F6. This means you no longer need to memorize the CSM codes if you do your editing tethered to the computer. If you wish to change the CSM settings in the field, you’ll still need to know CSM codes. There are many, however, who never even take the camera off of Program Mode – much less have the willingness or desire to dive deep into Custom Settings Menus – making all of this nuance, finesse and technological power absolutely meaningless. For those people I’d recommend saving the money and buying a F5. If you’re not interested in tweaking the camera’s settings, not knowing the codes is a non-issue. One of the nice features offered in the F6’s Menu Options is setting d3: FILM LEADER. On the F5 it was required to send the camera back to the factory to allow this feature. On the F6 it’s a simple preference easily found in the Menu system. Sometimes you may wish to use this feature if you want to swap out rolls before they’re fully shot. Leaving the leader out allows the photographer to rewind the film but easily re-load it later. Make sure if you do this however, you have Data Imprint/Between Frames set to “Off” – otherwise you’ll get data imprinted on your previous exposures as the camera advances to the frame previously left off at. (Click HERE to see what that looks like… look above the hood of the JEEP for red numbers). Leaving the film leader out also makes developing film yourself – and re-using the metal cartridges to re-load – much easier. You don’t need to pry open the canister with a can opener in the dark bag. ERGONOMICS: I’ve tried to stay away from this topic because it tends to be less factually driven and more determined by emotionally triggered preferences. There are a few important facts, however, that may influence a decision: as already mentioned, the F6 is smaller and lighter due to its optional configurations and significantly lower power requirements requiring fewer batteries. Buttons on the F5 are slightly smaller and slightly more difficult to find, especially with gloved hands. Buttons on the F6 are slightly larger and rubberized, easier for fingers to find. There is no FUNC button on the F5. The F6’s FUNC button is customizable through the Custom Settings Menu and allows easy, fast switching between various functions of the camera. For example I have my FUNC button set to allow me to switch from Matrix Metering to Spot Metering with the press of a button – never taking my eye or mind off of what I’m seeing through the viewfinder. Some other little things the F6 allows are switching out the functions of the Main and Sub Command dials on the camera, reversing the +/- metering directions in the viewfinder and Easy Exposure Compensation (dangerous if you’re not careful) eliminating the need to depress the top +/- button and simply turn the sub command dial. BUDGET: A used F5 is considerably less expensive than a used F6 – approximately one third to one half the price. You can still purchase a new F6 for about $2,400, complete with US Warranty. In 2007 (a year before purchasing the F6) I was in a camera store in Denver and they had a “new” F5 for about the same price. I wish I’d bought it then. I think beyond these above mentioned facts everything else is personal preference. Feel free to correct me if I’m wrong. There are probably more subtle, technical differences between these two precision instruments – but what’s listed above represents the ones I’ve heard the most. Port Townsend, Washington. EXIF: 1/100 @ ƒ11, AF Nikkor 50mm 1:1.4D, Color matrix, Aperture Priority, +0.7EV, Velvia 100. © Copyright 2011 by John B. Crane. All rights reserved. Answer: I’d say 90% of the time the answer would be yes (90% of all statistics are made up). But the rest of the time you’d have an advantage over other cameras. And it’s that other 10% of the time that can easily make the difference between a photograph everyone else could make, and a special one you can make because of the tool in your hands. But let’s face it: if you were solely basing your decision on “practicality” you’d probably buy a D700 and be done with it. So I don’t think that’s the issue. The last of its kind: the Nikon F6 35mm film camera. There’s the obvious practical argument, though: if you want to shoot film with Nikon’s CLS (you should be doing this, by the way… it’s a fantastic tool and another way to separate your well lit images from everyone else’s “natural light” images). 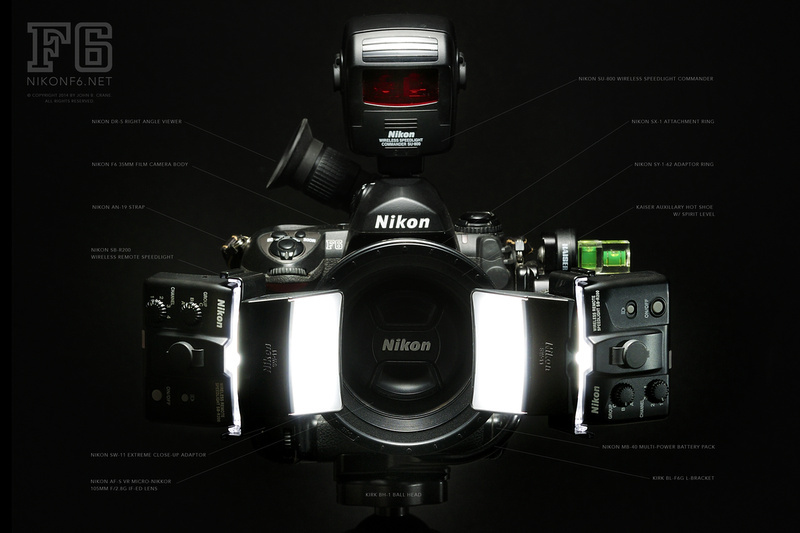 The F6 is the only Nikon film camera to employ their Creative Lighting System. Even with the SU-800 control head, no other 35mm film camera has the circuitry to trigger remote flash. Another obvious practical argument to move from the F3 or F4 (and older) cameras is, if you want to use a G-series Nikon lens (G-series lenses began the “no aperture ring” revolution in lens design), you are stuck with Program mode, or Shutter Priority mode – neither of which interest the Manual or Aperture Priority shooter. You need the Main and Sub Control dials on the newer cameras (the F5 and F6) to shoot G-series lenses with complete control. There’s also the VR component. I’ll have to look into this deeper, but I don’t think the older cameras support VR on the newer lenses. I’m pretty sure it’s a CPU/Contact thing. I’ll look into this and build this out later. Answer: No. If you want to take a little break in the reading and have a listen, here’s a piece that you can hear how unsilent the “Silent” mode is. I’ll say this – it’s more silent than my D3S’ shutter which is about the loudest shutter I’ve ever heard. Question: The size and weight of the F6 seem ideal compared to the F5, which was so big. What are your thoughts? Answer: The ergonomics of the camera are one it’s finest features. It’s a pleasant camera to hold and work with – which is a key argument against the “a camera is just a box” accusation. Here’s what I think: if you have a camera that’s comfortable to hold, easy to use, and small enough to have with you, you’re going to shoot it more. I’m of the opinion the more you shoot a camera, the more valuable photographs you’ll make as a result. If a camera is large, cumbersome, bulky and difficult to work with you’re less likely to have it dangling around your neck when a moment you want to capture presents itself. Regarding MF (medium format), sure – you’ll get a nice, big frame of film, but the spontaneity factor is dramatically reduced because it takes so much longer to get the shot off. The Nikon F6 is extremely refined, extremely solid – yet somehow not bulky or large. If it had ab’s it would have a 6-pack. It’s a marvel of texture, form, sound, tactile layout, logic and ease of use. Its sounds are refined, sophisticated, subdued; not ostentatious or bombastic. Its an instrument that somehow allows the user to more easily envelope; to more naturally become an extension of oneself with which to record spontaneous moments – or carefully set-up shots. It’s a difficult thing to describe because this is where the emotional component begins to enter into the equation. Round where it makes sense, solid to the touch, and density without bulk. There’s a response the camera somehow invites the user to offer that further enables the camera. Like a dog thumping his foot when you scratch the right spot. If you’re committed to 35mm film, I’m convinced you can do no better than the Nikon F6. Not only is the camera itself excellent, but you also have the full weight of Nikon system accessories and a lengthy resume of NIKKOR lenses behind your investment. Because of all these reasons I don’t believe there’s a more robust, complete, higher quality, flexible 35mm film solution/system available to the film photographer now – or in the future.